Every week we pull together some great Canadian recipes from Canadian food bloggers around the web featuring one main ingredient or dish. Today it's a spring, summer and winter favourite flavour: mint! Mint is a classic flavour that pops up in everything from sweets to drinks to savoury dishes. Virtually every cuisine finds a way to use mint - and no wonder. It's so easy to grow your own, find it at any grocery store or spot it at the farmers market. It's especially refreshing in summer cocktails but adds some festiveness to hot chocolate and winter holiday desserts. It's truly a flavour for all seasons and climates! A colour explosion is happening with this **[Raw Vegan Noodle Salad with Mint](https://thestingyvegan.com/raw-vegan-noodles/)**. From **The Stingy Vegan**. Alfajores are a buttery cookie sandwich - try this **[Meyer Lemon Alfajores with Fresh Mint](http://www.rhubarbandcod.com/meyer-lemon-alfajores/)** combo! From **Rhubarb and Cod**. Flavoured extracts can be expensive when you buy them but they're so simple to make at home! Make your very own **[mint extract](http://www.simplystacie.net/2017/01/homemade-mint-extract/)** - it only requires two ingredients! From Simply Stacie. Lamb with mint jelly is a classic Sunday roast dinner but why not lighten it up for spring with **[Spring Lamb and Mint Ravioli](http://www.flashfictionkitchen.com/spring-lamb-mint-ravioli/)**? From **Flash Fiction Kitchen**. **[Mint Shortbread with Coffee Glaze](http://www.sweet-sundays.com/home-main/mint-shortbread-with-coffee-glaze)** is the perfect tea time (or coffee break) treat! From **Sweet Sundays**. Combine mango and mint to bring out the flavours of the fish with **[Grilled MahiMahi with Mango Mint Salsa](http://www.chewsandbrews.ca/grilled-mahi-mahi-mango-mint-salsa/)**. From **Chews & Brews**. 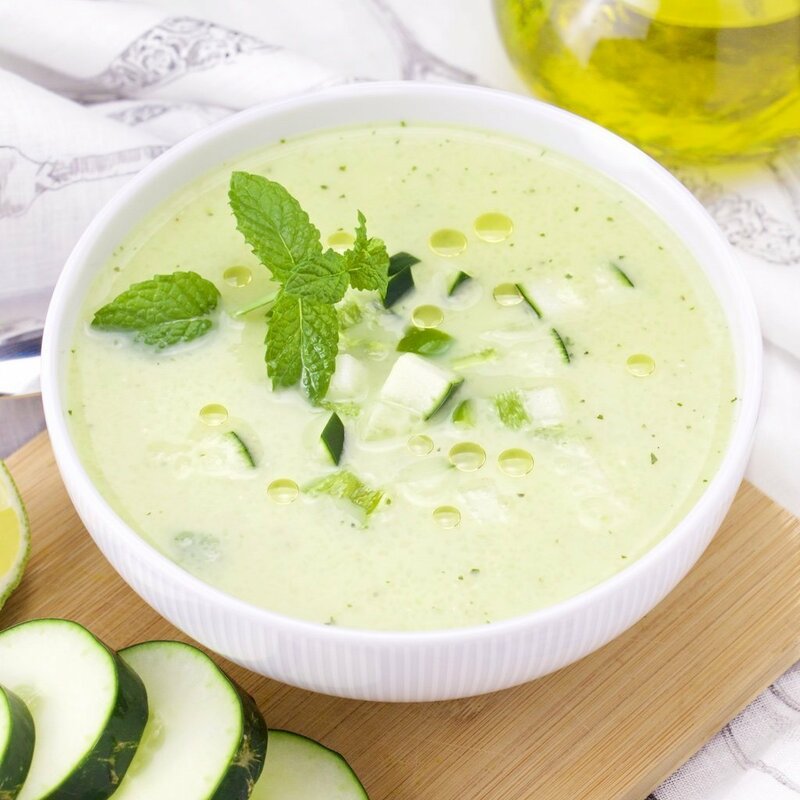 A cool refreshing **Mint Dip** brings out the flavour of **[Roasted Cauliflower Bites](http://www.saltandlavender.com/roasted-cauliflower-bites-mint-dip/)**. From **Salt & Lavender**. A big thank you to all our FBC Members who participated in our mint recipe roundup! Amazing list of delicious recipe Thanks for Sharing. I really liked It! !